Nicolas Trudgian ahead of everyone else via email news releases. 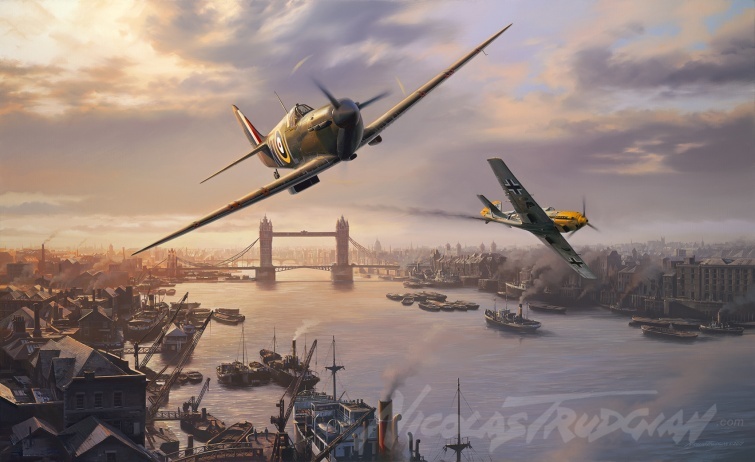 Nicolas Trudgian is looking forward to attending the Flying Legends Airshow at Duxford this Saturday July 14th as a guest of Vector Fine Arts. Flying Legends is the U.K.’s largest vintage airshow and Vector will have an impressive display of Nick's prints and recently commissioned drawings for sale. Nick always enjoys chatting with collectors so come along and take advantage of the opportunity!